Blog Editor’s Note: The RIN has always been a leader in advocating for resilience. 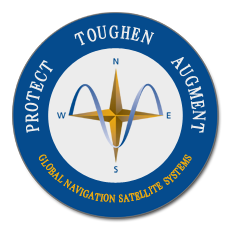 As an example, they typically host a Resilient PNT forum the day before their annual International Navigation Conference. The professional heirs of John Harrison and Isaac Newton, the RIN is one of the world’s premier organizations of professional navigators. 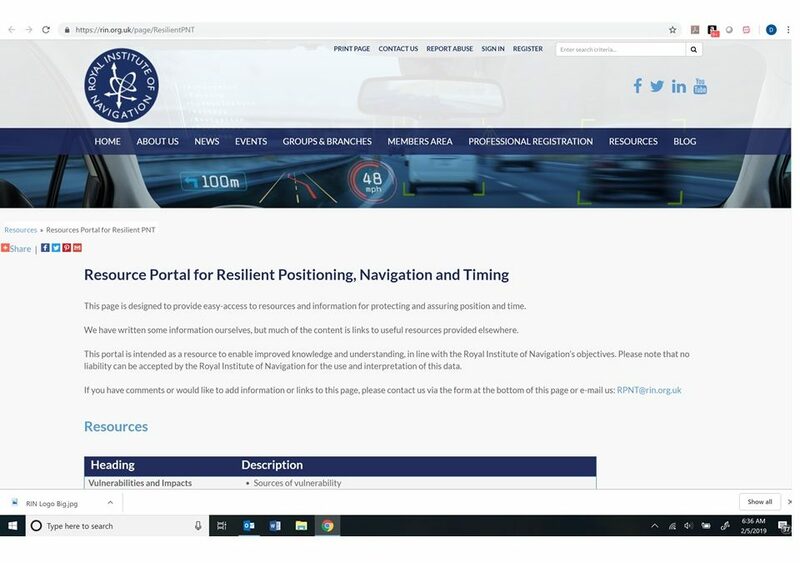 John Pottle, director of the Royal Institute of Navigation, today announced the organization’s new Resilient PNT portal. “It’s widely understood that satellite navigation has vulnerabilities,” Pottle said. “What is less well understood is how to assess risks and what steps to take to achieve a robust solution, appropriate to the application. The portal, available at https://rin.org.uk/page/ResilientPNT, has sections devoted to Vulnerabilities and Impacts, Risk Assessment, Disruptions and Reported Problems, Guidelines and Standards, and General Guidance. Our aim is to enable improved knowledge and thereby build expertise and understanding, in line with the Royal Institute of Navigation’s core objectives,” Pottle said. The page includes a feedback form to make suggestions or ask questions. Users can also use the form to register for email updates as new information is added. “We have ideas to improve and add to this resource through 2019 — for example we are currently working on a white paper discussing various practical steps to mitigate common vulnerabilities,” Pottle said. He added that the organization welcomes feedback and that there is a feedback link on the website. 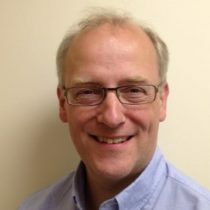 Pottle made the announcement on the social media website LinkedIn.